If you haven’t met me, I am a young Christian birder and amateur photographer hailing from Canmore, Alberta. At fourteen years of age, I can’t afford some of the more expensive equipment, but my Canon EOS 80D is hardly bad! As I enter my tenth year of bird watching, my bucket list is forever expanding, with new places, events and birds added constantly. 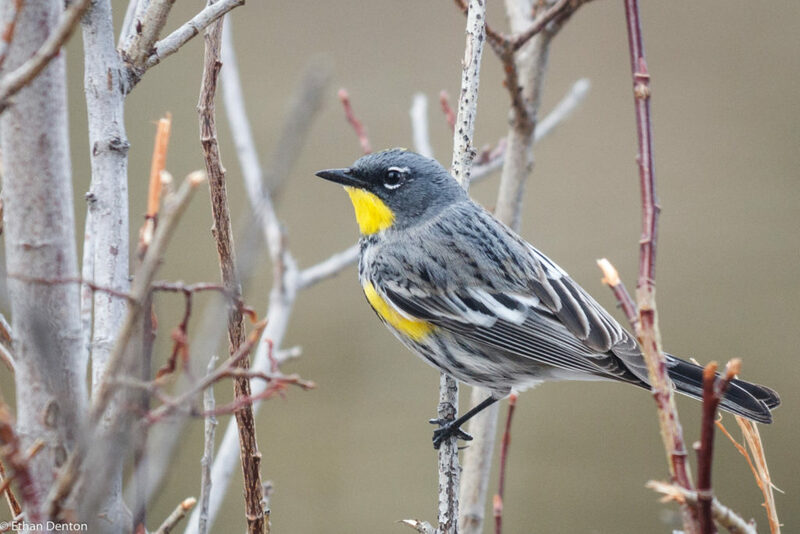 I love bird counts and surveys, something that started off in my second year of birding, when I joined the BowKan Birders on their Christmas Bird Count – since then, I have missed just one of the BowKan Birders’ bi-annual counts, and I am now co-coordinating the Banff-Canmore CBC as the Canmore half’s organiser. Two years ago, I initiated the Canmore Kids Christmas Bird Count, the first of its kind to penetrate the Bow Valley. Here I will post regularly about birding events, trips and other experiences from Southern Alberta and across (I hope!) the globe. You can see more of me at the Birds Calgary site, and Facebook pages: Young Birders, Bow Valley Birding and Alberta Birds. If you have any questions or comments, feel free to email me at birdboy.ca@gmail.com . Thank you for visiting, and please enjoy my blog. What a great blog! It’s fantastic you’re so into birding at a young age. I actually hoped you might be able to help me with something with your local bird knowledge. I’m part of a BBC wildlife film crew in Canmore for a couple of weeks looking to film rufous hummingbird chicks in a nest. We’re struggling to find one though so I’d love to hear if you have any tips on places to look or have come across one in your birdwatching? I can tell you here a couple of locations, but I can send you a map through email. If you want that, email me at birdboy.ca@gmail.com. The most likely places are the Canmore Boardwalk area (particularly behind the Rose and Crown Pub) and the riverside path immediately west of Riverside Park. 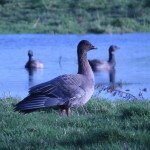 I can also put you in touch with some other local birders who could help as well. Oh, and I forgot to mention, if you go to Lac Des Arcs Village, there is a bridge called “Al Lesann Bridge.” Take the left path down the stairs, and follow that. I was there last week, and there was one Hummer displaying, and a pair that were acting quite aggresively towards my group. Ethan where do you find osprys? Around here? There’s a pair nesting on the Bow River in Canmore, and one at the bottom of the Norquay Road in Banff that my dad saw today. Ethan have you seen a peregrine falcon before? I have seen Peregrines quite a few times, yes. hi, some of your clicks with sx50hs is quite stunning, specially birds and one landscape of waterbody. can you plz share about the settings of the camera. do you use sports mode or shutter priority mode for birding? also is it okay to use higher iso like 1250 for getting higher shutter speed? thanks a lot. I use a simple manual setting, which lets me manipulate Shutter Speed, ISO, and Aperture independently. Ethan, I maintain the http://www.canadianbirdphootographer.ca website. I am located in Calgary. I will be visiting Canmore to photograph the Pine Grosbeak sometime in the next few weeks. Where are my best locations to find them? Your website is great! I like your contraption for the camera lens. As for the Grosbeaks, a place that I recently found about 100 of them. if you go to Google Maps and search this number: 51.041063, -115.260548 you should find a place with feeders and a few species of birds as well as the Grosbeaks. They were at the feeders and across the nearby creek bed. Hi Ethan, You have done a great job. Good luck. Hi Ethan, I am pleased to meet you. I have always loved birds, but unlike you, I started learning and listing the birds late in life. Now I am on holiday in Arizona. Yesterday I went to see the Sandhill Cranes (about 20,000 of them). And I added 3 species to my Arizona list! Mostly I keep an ABA list, and a Nova Scotia one. Nice picture of the White-winged Crossbill. I love to see them work on a cone! I’m pleased to meet you too! Arizona is a great place! You’re very lucky to be able to bird there. I love the idea to make a blog! I am so inspired by yours, I might do one on one of my passions! Thank you for saying this about my blog. I’m really looking forward to my stay in Ontario. I am impressed by your blog Ethan! Good luck this weekend! Ethan, your blog is a fantastic idea! I would love to share it the class if Ok with you. Good luck this weekend!